For all seafoods lovers residing or working somewhere in North Luzon as well as travelers and passersby, you should include Ambassador Seafoods and Ihaw-Ihaw Restaurant to your list of possible places to dine in. The restaurant is located along McArthur Highway at Urdaneta City, Pangasinan at the far stretch of Nancayasan. It will be on your left if you’re driving through the north of the province and on your right if you’re heading south. You can easily spot it due to the large billboard with bright lights at night. One of the first features you will notice is the spacious parking area. You will be greeted by friendly and courteous employees by the door. Inside, the ambiance is inviting. Any art enthusiast will also appreciate the wall art interior. 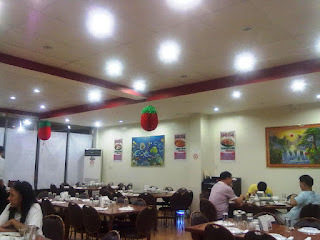 Being a Chinese restaurant, most people dining in are Chinese. Hence, while waiting, you’d be served with Chinese tea. Unfortunately, I’m not Chinese at heart to appreciate this sugarless drink. I’d rather have Pinoy style sabaw or soup. 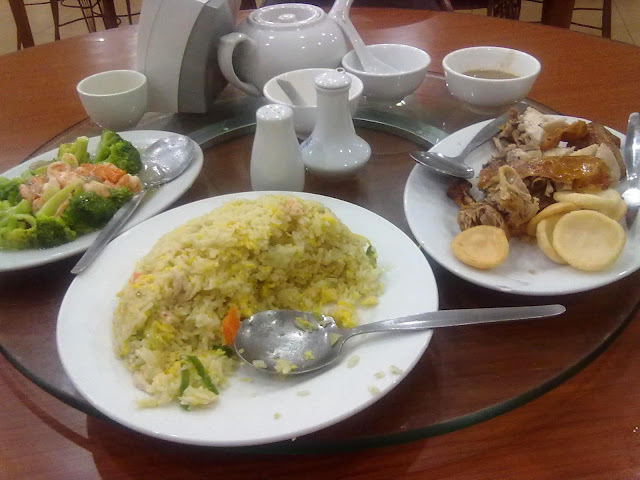 As for the food, each order is served in a large platter. It’s more than enough for 3 people. You will notice that through the images below. One plate is the seafood, another is the chicken, and the last one is fried rice. 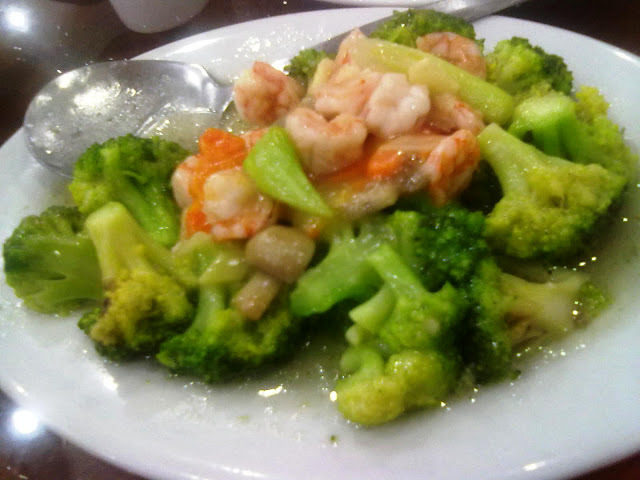 The seafood mix is actually typical but its stir fried in a special sauce. The chicken is no different from fried native Philippine chicken but the gravy is not like your typical fast food dip. 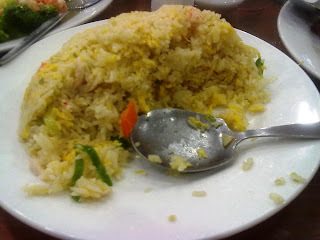 Lastly, the fried rice in itself can stand out on its own. When it comes to prices, it’s like your typical restaurant. Each order will cost around Php 200 to 300 for 2 persons. Prices will vary depending on the size of the serving. 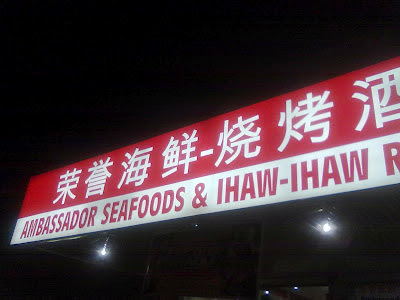 All in all, although it’s nowhere close to the other more seasoned seafood restaurants in Urdaneta City such as Matutina’s Seafood House and Restaurant, Ambassador Seafoods and Ihaw-Ihaw Restaurant is still a recommended dining place.